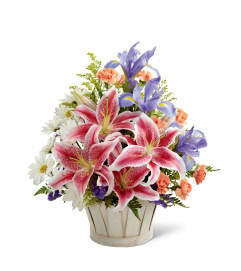 The FTD® Sweet Solace™ Bouquet is a divinely elegant arrangement that encourages peace and offers your sympathy. 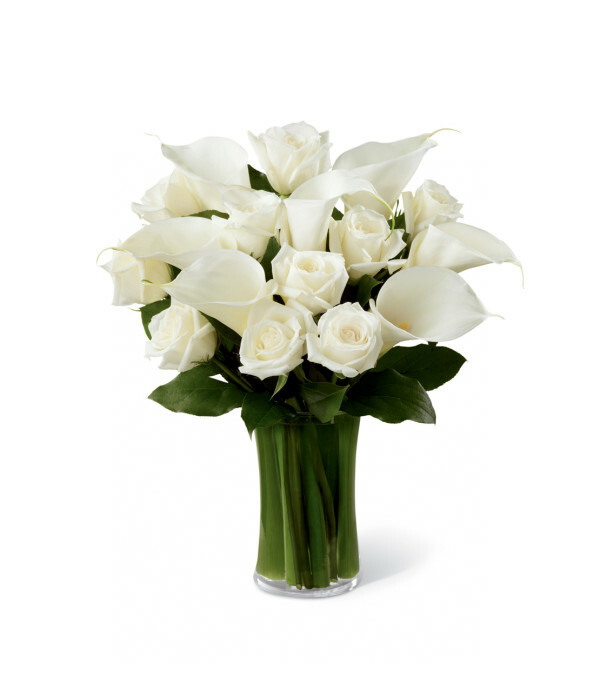 Brilliant white roses and calla lilies are simply set amongst lush greens in a clear glass gathering vase to create a meaningful gift that will help your special recipient through this trying time of grief and loss. So glad I found Karen's Flower Boutique! This is the third time in 10 days that I have used them...that should say it all! Lovely arrangements, prompt, prompt service! They called me immediately after I placed my first on-line order due to a slight snag with the order (kinda bummed that they didn't have the specific "vase" I had ordered) but all turned out fine, albeit a different vase! Will be using again. The gentlemen I spoke with was very helpful. 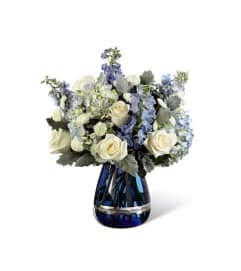 The flowers arrived as originally ordered. Thank you! Got home after a long day at work and was so pleasantly surprised to find a beautiful flower arrangement. The flowers are fresh and came in such cute vase. Absolutely perfect! Karen's Flower Boutique is a Lovingly Florist in Aurora. Buying local matters. Discover how Lovingly supports local florists. Copyrighted images herein are used with permission by Karen's Flower Boutique.